9.1" x 10.9" stitched on 14 count. 7.1" x 8.5" stitched on 18 count. 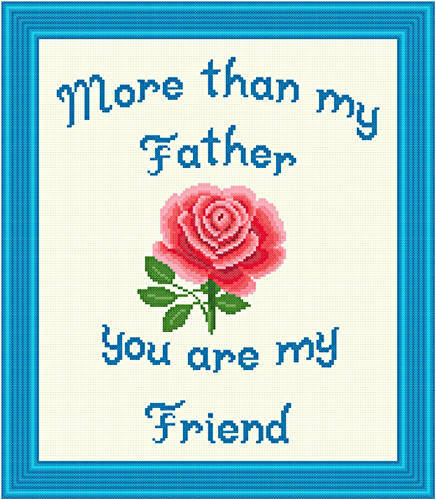 Father - Friend cross stitch pattern... This design pays tribute to the sentimental attachment we have created and lets them know they are important to you. The honor can be a treasure to be cherished. Whole stitches.